This timely collection brings together twelve original essays on the cultural meaning of the sea in British literature and history, from early modern times to the present. Interdisciplinary in conception, it charts metaphorical and material links between the idea of the sea in the cultural imagination and its significance for the social and political history of Britain, offering a fresh analysis of the impact of the ocean on the formation of British cultural identities. Among the cultural and literary artifacts considered are early modern legal treatises on marine boundaries, Renaissance and Romantic poetry, 19th- and 20th-century novels, popular sea songs, recent Hollywood films, as well as a diverse range of historical and critical writings. Writers discussed include Shakespeare, Milton, Coleridge, Scott, Conrad, du Maurier, Unsworth, O'Brian, and others. All these cultural and literary 'fictions of the sea' are set in relation to wider issues relevant to maritime history and the historical experience of seafaring: problems of navigation and orientation, piracy, empire, colonialism, slavery, multi-ethnic shipboard communities, masculinity, gender relations. 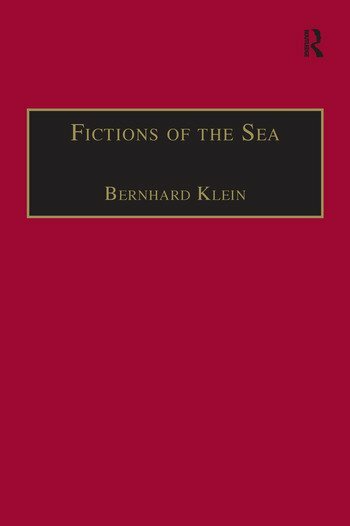 By combining the interests of three related but distinct areas of study-the analysis of sea fiction, critical maritime history, and cultural studies-in a focus upon the historical meaning of the sea in relation to its textual and cultural representation, Fictions of the Sea offers an original contribution to the practice of existing disciplines. Contents: Introduction: Britain and the sea, Bernhard Klein; Who owns the sea?, James Muldoon; Orientation as a paradigm of maritime modernity, Ulrich Kinzel; Satan's ocean voyage and 18th-century seafaring trade, Anne-Julia Zwierlein; Class war and the albatross: the politics of ships as social space and the Rime of the Ancient Mariner, Sarah Moss; Walter Scott's The Pirate: Imperialism, nationalism and bourgeois values, Arnold Schmidt; Death by water: the theory and practice of shipwrecking, Ina Habermann; The sea is history: historicizing the Homeric sea in Victorian passages, Tobias DÃ¶ring; 'As I wuz a-rolling down the highway one morn': fictions of the 19th-century English sailortown, Valerie Burton; Conrad's crews revisited, JÃ¼rgen Kramer; Cabin'd yet unconfined: heroic masculinity in English seafaring novels, Susan Bassnett; 'The sea is slavery': middle passage narratives, Carl Pedersen; Cinematographic seas: metaphors of crossing and shipwreck on the big screen (1990-2001), Patrizia A. Muscogiuri; Bibliography; Index.